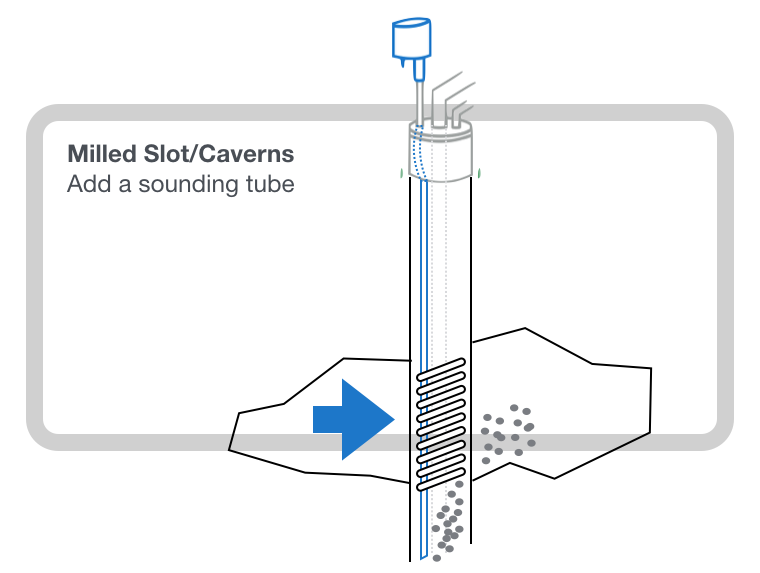 Where there is “milled slot” or a perforated casing seeping gravel or sand, caverns can form outside of the casing. These structures can attenuate or degrade signals. How can you tell? Your well construction report will tell you, and if you’re not sure how to read it, feel free to forward a copy to our Tech Support team, and we’ll help you. It is best to mount Wellntel on an access port fitted to a sounding tube. In this case, the sounding tube contains the signal and enables successful readings. Wellntel recommends a sounding tube be installed by a qualified well servicer as a matter of practice in regions where the geology demands.